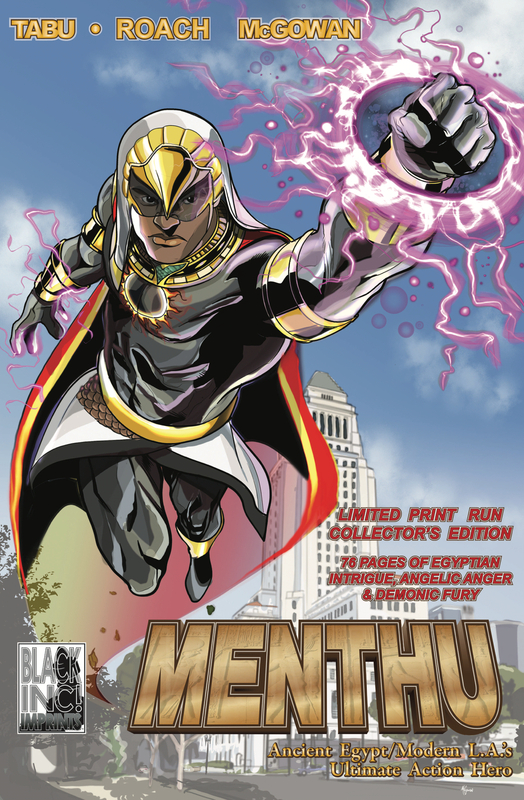 The son of an ancient Egyptian war god and a mortal woman, Rahsaan N'shanga embraces his part-time job as the super hero Menthu as much as he does his full-time job as a player on Los Angeles' professional football team, the Archangels. Some parties might be happier if the idea of ancient Egyptian gods stayed in the museum. That leads to an unholy pact to make sure the demigod Menthu becomes history. 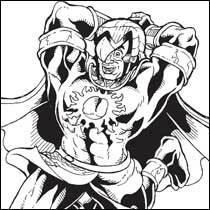 Written by Hannibal Tabu with pencils by Robert Roach and inks by Larry Welch, and cover by Quinn McGowan.